Black , , , , is the gorensei fuseki. It is evolved from the yonrensei fuseki. 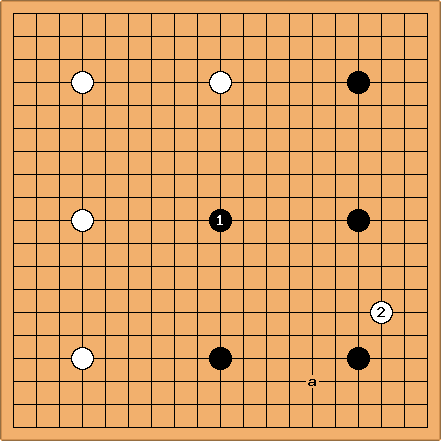 In this example, since Black and White have occupied all the star points, this opening is an example of all stars opening. unkx80: Mr. Yang Jinhua (6p) once made a comment on the gorensei for the weaker players. This comment also examplified his solid style of play. Mr. Yang says that when is played directly on the tengen, is sure to invade ( may also be at a), otherwise Black's framework is too large. 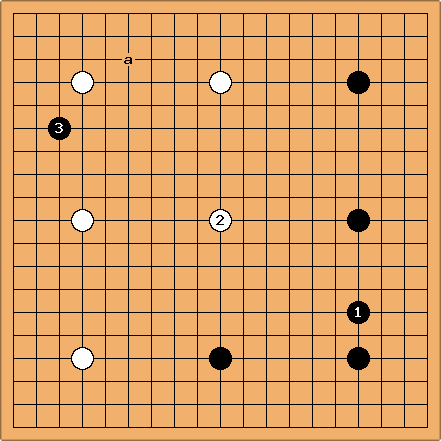 Players who are weaker in attacking might find that in the process of attacking , White will settle in the bottom right sector of the board and the stone might become misplaced. 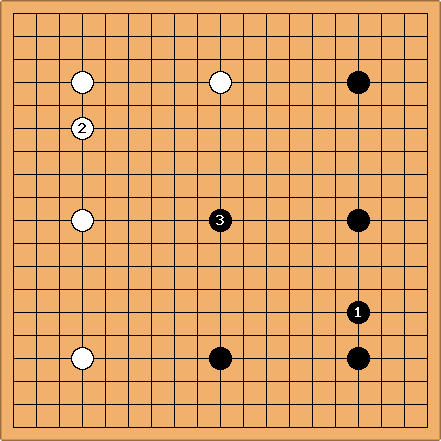 Therefore, Mr. Yang recommends that Black play the corner enclosure at to solidify the position. 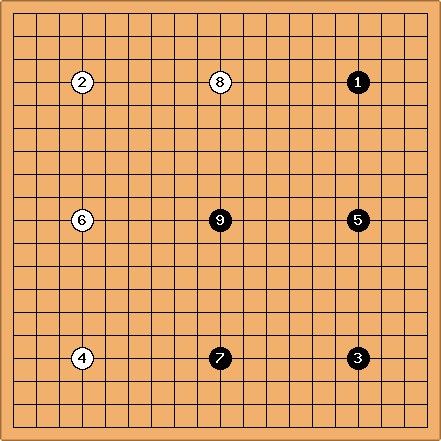 Then if also makes a corner enclosure, then is now ideal, since White now has no good invasion point in the bottom right part of the board. On the other hand, if occupies the center point, then (or a) will invade. Assuming that White is also a weak attacker, then the stone may end up misplaced. Note that has made the lower right corner more solid and so it is not so easy for White to find an appopriate invasion point there.